Testimonials - Enlightened Solutions Ltd. - Paleo Nutrition - Designed By Nature. My clients value results, and they know that results are exactly what they will get when they work with me on improving their nutrition and lifestyle. If you are seeking improvements in health and (or) weight loss, and if the old worn out low fat, high carb shtick is NOT working towards making you healthier, then come on board and see results for yourself. Here is what our clients are saying about their experiences with Enlightened Solutions. NOTE: Names are withheld unless otherwise requested. If you would like to personally speak to anyone who has left a testimonial, please contact me and I will assist in putting you in touch. 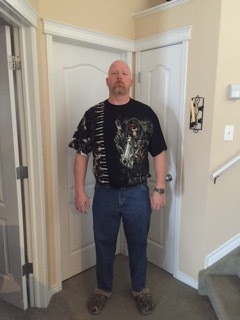 I am a 48 year old guy that has had weight issues my entire life. By the age of 12, I was 6’ tall and weighed 200lbs. My weight just slowly crept up from there. In school, my weight was always an issue for me and I had problems making friends because often weight is all most people see - not the person inside. In my 20’s and early 30’s, I seemed to hang around the 250lb area, but then gained more weight and ended up in the 280-300 pound zone in my later 30’s. In 2005 I started to lose some of my weight and began going to the gym. This did make a big difference in how I looked and felt about myself, and in January of 2007 I decided to enter a bodybuilding show and started an incredibly intense diet program, along with a strenuous cardio and training regimen. Of course, lowered calories and a very low fat diet combined with hours in the gym brought constant feelings of hunger, awful mood swings, irritability and extreme fatigue as the 20 weeks of “contest prep” wore on. After the show, the rebound weight gain was BAD, and I ended up with my weight rocketing up to 350 pounds, the heaviest I had ever been. Worse than that, I was unable to get my mind around any kind of weight loss program. All I remembered was starving and training and feeling just terrible. In my mind, if that is what dieting and "health" was all about – I wanted none of it. I tried a few halfhearted diets, dropped some weight and then would flop and quickly re-gain what I had lost, plus a few more. I’ve known Barb Herbert for a few years and finally asked her for some help with my problem in the summer of 2014. I was 353lbs at a height of 6’3”. I was also noticing skin tags growing on my face (which Barb identified as a sign of impending diabetes in my future), was having a hard time walking due to the weight on my knees, and suffered from frequent back aches. I started my new way of eating. It took a few days of willpower to not go out and buy something while at work, as I had been used to doing every day. After a week it got easier and I was on my way. The first couple weeks I had big drops and then settled down to a normal pace of losing 2-3lb per week. 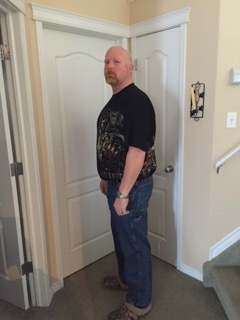 It is now 23 weeks later, I have lost a total of 70 pounds (I now weigh 282 pounds) and I feel GREAT, and not lethargic as I have felt before on starvation diets with heavy workout programs. The skin tags went away on their own and my knees and back are much better. I really think that I have avoided developing diabetes... I acted just in time. To be honest, I have yet to darken the doorway of a gym, or even go for walks. The weight is coming off easily and without hunger. I am actually pretty stunned by how easy this is after my previous experiences with diets. My goal is to be down to 260lb for my holidays in 6 months from now. With continued work and Barb’s help, I will surpass that goal. The way she has me eating I am not feeling hungry and miserable all the time. Enlightened Solutions and Barb Herbert have changed the way I look and feel and have completely changed my outlook on life. The skin tags are gone and my knees and back are so much better. I haven’t felt this good in many years. Thank you for the wonderful testimonial Ed! It has been my pleasure to help you to transform your life and take back your health. All I have done is advise, teach and support – it is YOU who has done the hard work. You should be very proud of yourself! It is not uncommon for people to effortlessly lose weight and regain their health without having to resort to insane workout programs that only leave them starving and with their stress hormones way out of balance (cortisol, anyone?). 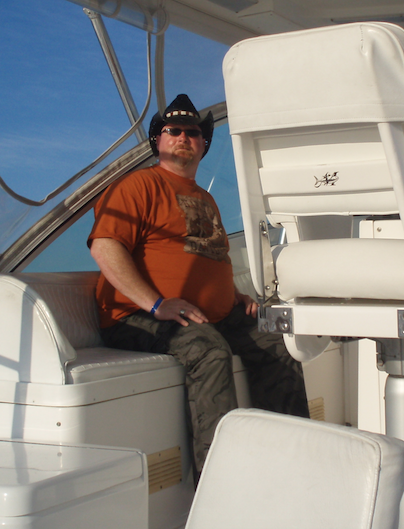 Ed displays unusual features for someone who has lost 70 pounds in only 23 weeks. He looks vibrant and healthy, he feels great and has not lost muscle mass (this is a huge deal). No hanging skin. No grey, unhealthy looking, pallid complexion. No energy loss. No sleep disturbances. No mood swings. Most people who lose weight this quickly by using low calorie, incorrect diets – quite frankly look like death warmed over. They look skinny, sickly and tired and have lost a lot of their strength. Ed is a perfect example of what I firmly believe to be true. If you have to kill yourself in the gym, on the track or running stairs in order to lose weight… YOUR DIET IS SIMPLY WRONG. And, if you have to starve yourself to lose weight, again… YOUR DIET IS SIMPLY WRONG. Congratulations of your success an hard work. I have no doubt that you will easily reach and surpass your goal!! 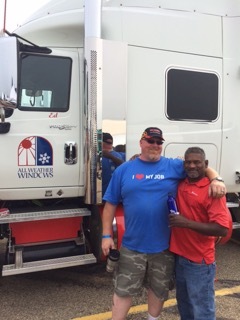 Ed with Discovery Channel's "Highway Thru Hell" star, Samy Narayan. This photo was taken one month before Ed started his diet. Here is Ed at 283. Heathy, lots of energy and continuing to work towards his goal. Looking good Ed!! Compare this to photos 1 and 2!! Awesome work!!! !